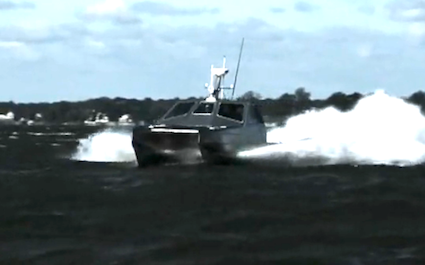 Lockheed Martin's duel-hulled STC Small Tactical Craft (video). Lockheed Martin’s duel-hulled STC Small Tactical Craft (video). Lockheed Martin’s Small Tactical Craft (STC) is a rugged, reliable solution that integrates hull, electronics and programmatic features that Special Operations Forces (SOF) require for continued mission success. Using an integrated systems approach, the STC provides SOF operators with a workhorse tactical craft that fully supports their demanding missions and enhances U.S. SOF operational advantages against current and future threats. The ability to monitor systems and equipment for performance trending, analysis and diagnostics both locally and remotely.